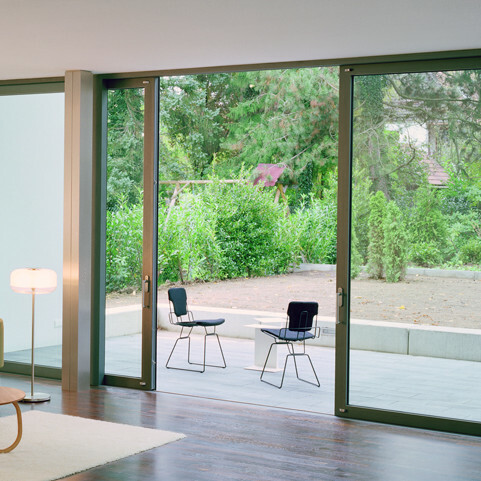 Patio doors merge inside with outside and can be used as an alternative to inward and outward opening systems, such as French doors, where the panels could intrude into a property or onto a space outside such as patio area. 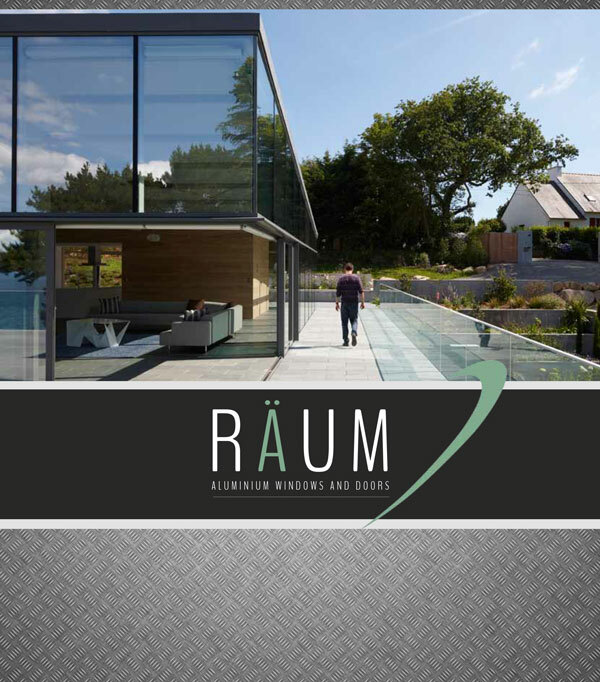 Räum Terassi 130 aluminium patio doors can be installed as a standard horizontal sliding door or incorporate a lift and slide feature. 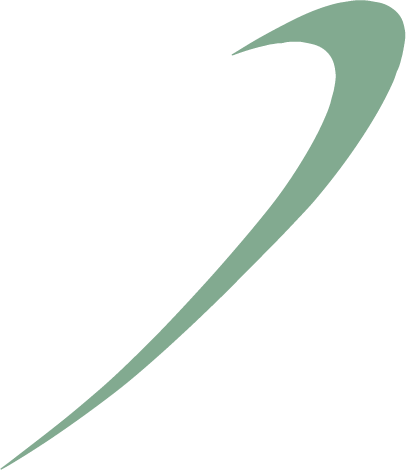 With lift and slide the handle is turned 180 degrees, activating the mechanism which enables the whole sliding sash to be lifted and effortlessly slid along the track. 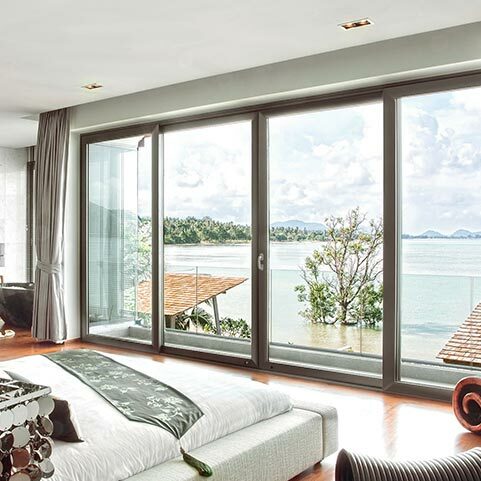 As well as smooth functionality, the lift and slide feature of the Räum Terassi 130 patio door offers unbeatable air and water tightness due to the compression seals which are engaged when the door is closed. Räum Terassi 155 patio doors have a slightly deeper frame than the Terassi 130 system, allowing for improved technical performance. An additional 25mm frame depth incorporates larger thermal breaks and thick glazing units to give better overall U-values and fully meet the performance requirements of the project. This system is also available in the lift and slide option for ease of use and improved weatherproofing, thermal performance and security. Terassi 133 is a luxury sliding door which offers the contemporary styling of aluminium combined with the thermal performance of PVCu. The door is designed to maximise entrance space over standard 2 pane patio doors, with multiple large sliding panels gliding effortlessly to completely open up a space and offer great views to outside. 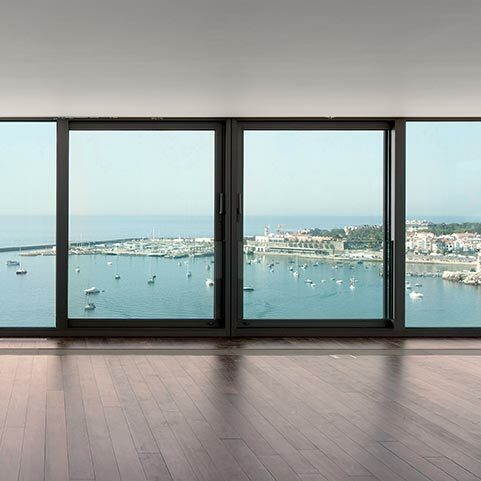 Along with offering spectacular aesthetics, Terassi 133 is a high performance patio door solution. The multi-chambered PVCu frame provides increased thermal insulation and weatherproofing, a multi-point lock provides high levels of security, and despite the larger panels, the door is engineered to operate easily and smoothly, year after year.